Gentle, researched ways to help your baby (and you)sleep safely as you support secure attachment and optimal infant brain development . Confused about baby sleep advice? Sick of the pressure to ‘train’ your baby to ‘self -settle’ and ‘sleep all night’ using methods that advise leaving your baby to cry? Looking for gentle baby sleep and settling techniques that WORK, without tears for your baby (and you!)? Best-selling baby sleep author, Pinky McKay presents a ‘not to be missed’ seminar for both parents and health professionals! There is increasing evidence that some approaches to ‘teaching babies to sleep’, particularly baby ‘training’ methods that advise leaving babies to cry, are stressful for babies and create a hormonal response that may lead to long term, adverse changes to a baby’s developing brain. Baby training practices also have the potential to negatively impact your baby’s trust, attachment and bonding, and your own confidence. Breastfeeding problems such as low milk supply along with poor baby weight gains and failure to thrive can often be attributed to inappropriate infant sleep advice that doesn’t consider the physiology or unique experiences of individual mothers and babies. Pinky McKay is the best-selling author of four books ‘Parenting By Heart’, ‘Sleeping Like a Baby’, ‘100 Ways to Calm the Crying’ and ‘Toddler Tactics’ (published by Penguin), and an Internationally Certified Lactation Consultant and infant massage instructor. She is the director of a busy private practice in Melbourne. 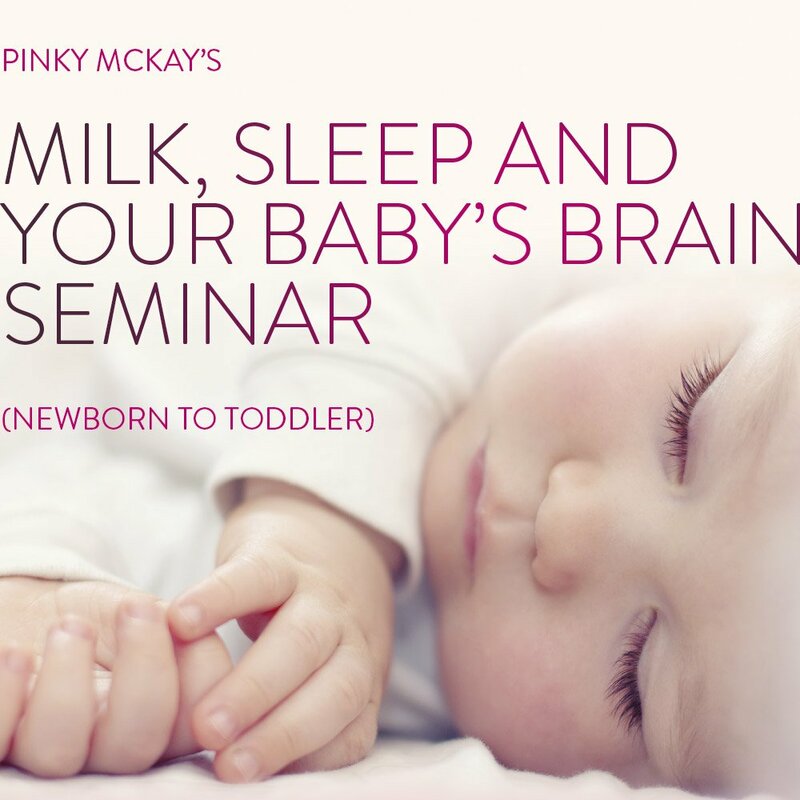 In this seminar, Pinky examines the latest evidence, busts common baby sleep myths, and offers gentle options to encourage infant sleep and settling that also promote a secure parent-infant bond, optimum brain and emotional development and successful breast-feeding . If you are worried or just wondering, what should we expect? What might be keeping our baby awake? How can we help our baby (and us) get more sleep, without tears? Then you won’t want to miss this informative seminar.